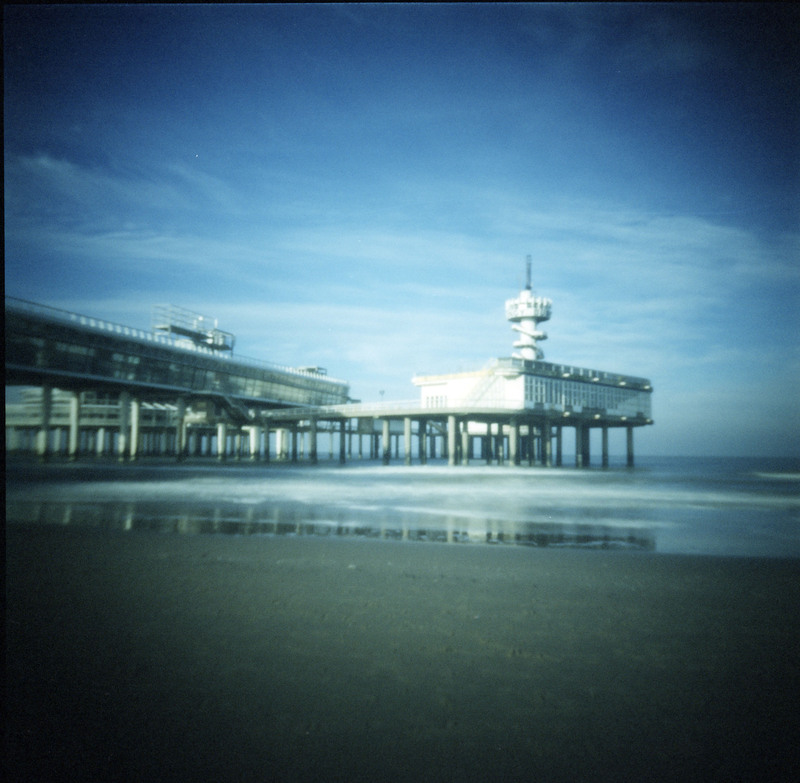 One more blogpost at the end of the year, this time of the Scheveningen Pier. The reason? It was closed in 2013, due to safety hazards. The first pier was built in 1901, near the Kurhaus (a luxury hotel) in Scheveningen. Scheveningen used to be a village near Den Haag (The Hague), but now it is part of the city. The old pier was used during WWII by the Germans for defence purposes and storage. It burned down in 1943. In 1959 the city started rebuilding the pier, but this time they moved it away from the Kurhaus. 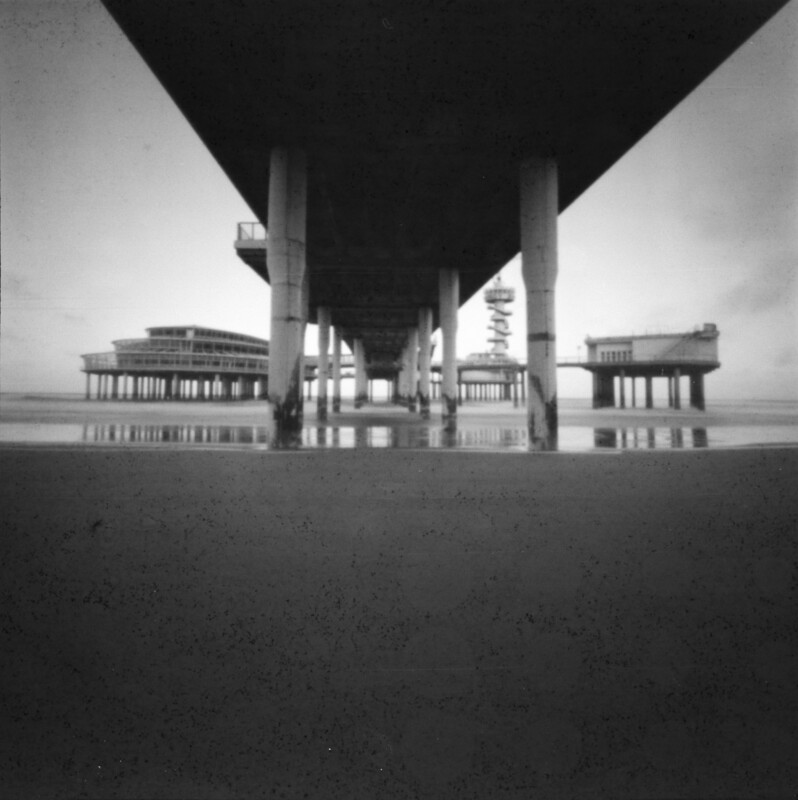 The new pier was opened in 1961. On it were restaurants, shops and a casino. Business wasn’t going well, and many businesses have come and went. In the 1990’s one of the biggest hotel owners in the Netherlands, Van der Valk, took over and renovated the pier. He opened a new restaurant and casino, but that also didn’t go too well financially. In 2011 a fire broke out. After that the pier went bankrupt. 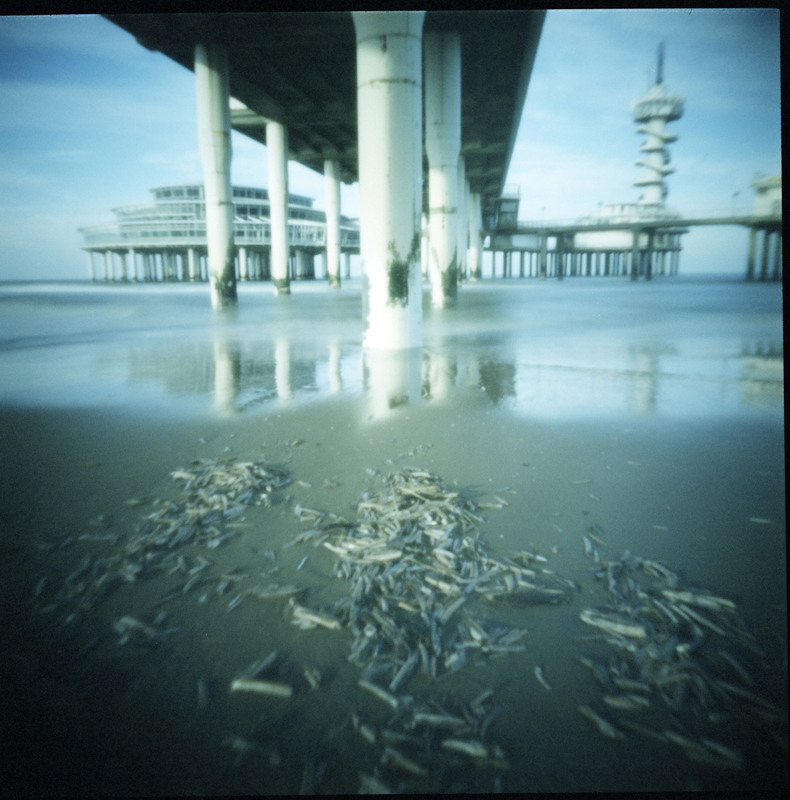 The city of Den Haag did not want to invest any longer and only did the most necessary repairwork to the pier. An auction was organised to try and sell the pier, but it was cancelled because there were no interested parties. The city then closed the pier, because there apparently are some serious safety issues. ON BEHALF OF BRENDAN, MONI AND MYSELF THANKS FOR YOUR SUPPORT AND A HAPPY NEW YEAR! Oooh! A ghost pier! I like it. The last time I was on it was a year ago. There were holes in the deck and it looked crappy. It will probably just stand around until it falls apart and crashes into the sea. They now closed the gate and it is not accessible anymore. Would have been great for some urban exploring though! Love the photos and also the story. Sad to see the pier declining. Thanks! It is rather sad. Not the prettiest building but it was nice to walk on and see the sea. The two colour images are truly stunning! But I thought that xpro Velvia would give pinkish colours? These are great, the black and white one too! Wishing you a wonderful and creative 2014! Thanks Marie. Best wishes to you too! 🙂 The Velvia 100 has a pinkish colour when xpro’ed. The 50, which I’ve used here, turns green/blue. Aha, I did not know that, thanks!! That is very interesting, I haven’t crossed Velvia because I thought it would be pink, but now I have to try it, your colours are fantastic! It remember it as incredibly ugly concrete pier. We walked out on it in 2007 after dinner at the Bali? Restaurant in Scheveningen with cousins. It was nothing like how I imagined it would be. All the once great seaside towns seem to be failing. A beautiful image. It is incredibly ugly, and I’m afraid it’ll be only worse if they are going to leave it as it is. As far as I know the Bali restaurant is also gone. You’re right about the seaside towns. All faded glory, unfortunately. And thanks!